Our president, Mr. Royi Gal founded the company. An over-achiever, entrepreneur, who understands the importance of teamwork and being surrounded by hard working – smart people. Mr. Royi Gal’s vision was to break the popular misconception of the modern world that a woman needs to spend a fortune in order to achieve a glamorous look. He has been going working hard to achieve this vision since then. It all started in 2001. In a small office in Bangkok, Thailand, Israeli entrepreneur Royi Gal began the journey of what would one day become Royi Sal Jewelry. The first signs of success were there, from the beginning, when the company began wholesale body jewelry. 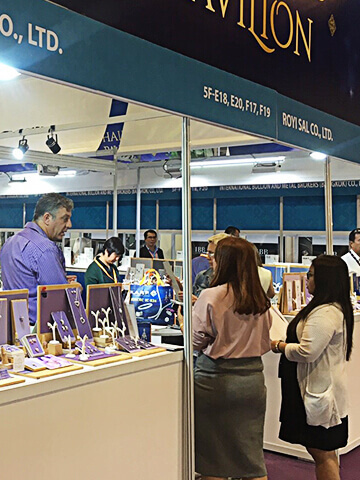 After several successful years as wholesalers of body jewelry, the company increased its product offerings to include more jewelry categories due to high global demand. As the company expanded, it moved to larger and more prestigious offices in the Phloen Chit area, right in the middle of Bangkok city center. During this time Royi Sal became an expert in Fine Sterling Silver and Fine Crystal jewelry crafts. Meanwhile, the first in-house designers joined the company, the sales department was filled with customer-oriented high-quality salespeople and Royi Sal began to focus on designing, manufacturing and wholesaling its own unique jewelry. Until 2008 and after the company experienced increased market penetration driven by a growing and encouraging demand, Royi Sal continued to expand internationally, entering new markets and gaining worldwide recognition. 2008 to 2009 and to increase production capacity the company established a large scale, four-story fully-owned manufacturing facility. Since then Royi Sal is producing all sterling silver and fine crystal jewelry in its manufacturing facility. 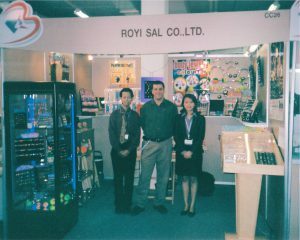 Over the following years, Royi Sal rapidly expanded to an international marketing and sales platform driven mainly by its robust production capabilities in Thailand. At the same time, more talented people joined the team, and the company underwent a fresh re-branding. During these years Royi Sal continued with expanding its office premises and upgrading the showroom standards. Additionally, the company began offering the option for product licensing by third-party distributors as well as OEM jewelry design & manufacturing services for clients. This further helped with strengthening the company’s unique production setup. Royi Sal operates and manages a vertically integrated business model from in-house design and production to global marketing and direct distribution in most markets. Our manufacturing facilities and processes have been successfully audited by Macy’s, Walmart, Target, Amazon, and Tesco to name a few. 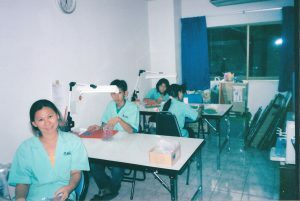 The company employs over 210 people, all located in Thailand, where the company crafts its jewelry. Also and driven by our team social an environmental awareness, Royi Sal is well known to implement the highest corporate social responsibility (CSR) standards. Royi Sal’s mission – then and today – is to provide women and children with the opportunity of owning high-quality and contemporary jewelry at affordable prices. At Royi-Sal, we are proud to offer premium products and first-class services to all our valued customers. In recent years, our team has worked hard to make Royi Sal more accessible and more affordable to a broader market via further international expansion as well as branching into the retail industry.